Another year older... I Like Local is now four! Year four has seen me move from Lisbon in Portugal to Edinburgh in Scotland via a brief stop off at home in Ireland. There's been more design and architecture spotting, culture vulturing and event listings and reviews. Thanks to all of you for being such great readers (both old and new), hi to all the mailing list subscribers and a general hooray for design and architecture! 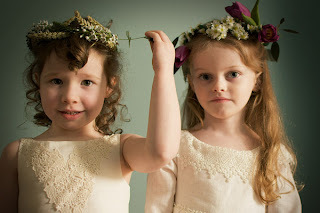 Here are some of the most popular posts to look back on from the past twelve months, while I look forward to continuing to share my finds and shout enthusiastically about the good stuff around me. Year five brings with it a fifth location (London, if you don't be minding) so there'll be no excuse not to keep this blog full to the brim! But for now, click through for some highlights from Lisbon, Dublin and Edinburgh. Enjoy! Trying to condense six crazy, wonderful months' worth of Lisbon finds was no easy task, but when I got back to Ireland I managed to settle on 5x5 things to see, do and totally fall for in the Portuguese capital. I timed my return to Ireland pretty well: just in time for Dublin's festival season. 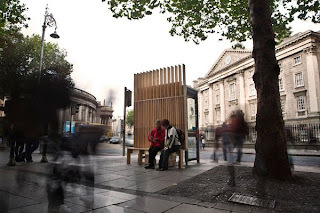 One of the highlights of it all was Engage, a project by Tank Collective that saw seldom-used phone boxes in Dublin city centre get temporarily revamped by artists and designers. 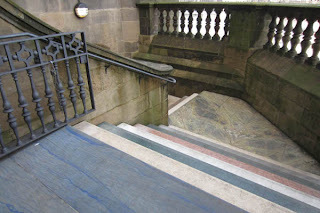 One of my favourite spots in Edinburgh is The Scotsman Steps, a public stairway near Waverley Station with its beauty revealed and renewed by artist Martin Creed, commissioned by Edinburgh Art Festival in 2011. For Architecture Ireland's summer edition I took a look at a range of design for children, thinking we should encourage an appreciation for good design from as young an age as possible, right?